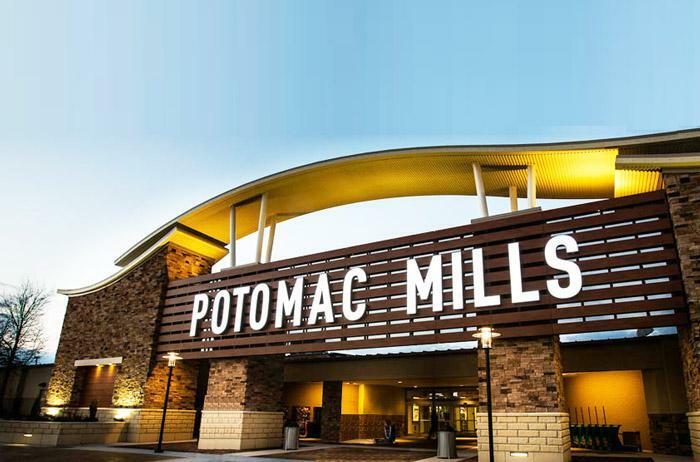 Potomac Mills Mall in Woodbridge, Virginia Potomac's have a brand new restroom in the Neighborhood 1 Fashion District with a private lounge solely for nursing mothers, and it also has a baby changing station. Potomac also have several other family restrooms that feature a separate family lounge area with a couch often used by moms to breastfeed their babies. They're not designated nursing rooms, but they're always mainly occupied by nursing moms and their children.